Deer are always ready to flee at a moment’s notice for any reason at all, even because of something as simple as a foreign smell. Before heading out, shower with scent-free soap and spray your equipment in odor neutralizer. Keep your hunting equipment sealed at home to ensure it doesn’t pick up human and non-natural odors. Wind can be a friend or an enemy to a hunter in the wild. 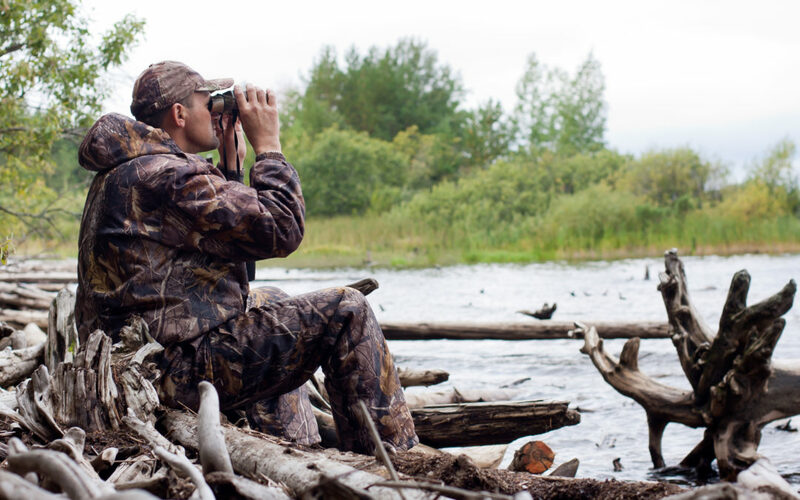 Hunting downwind will carry your scent and alert any game to your presence long before you’ve even set up a position. Keeping this in mind and hunting upwind will hide your scent and allow you to secure a clean shot. While hunters may think they should seek out game far and wide, deer spend their lives in spaces smaller than a square mile. Choose a territory near to you that is known for deer paths and study it as best you can. You’ll learn more about the local deer trails which is guaranteed to bag you more bucks. Just like how deer can smell you before they see you, hunters should be able to use all of their senses while tracking game in the field. Learn to pick up on the different sounds of animal movements and the odors that a deer may have. Deer are rarely out in the open for you to shoot, so pay attention to your environment for the smallest signs of fur and movement. We would all like to come home with a 10-point buck after every session of hunting, but the fact is that you’re going to have a lot of long, dull, unsuccessful days. Learn to appreciate the nature and wildlife around you while hunting. You may not always come home with fresh venison, but you’ll have seen environments that most people will never know. Keeping these tips in mind and always trying to learn something new about hunting will improve your experience and haul dramatically. Oak Creek Whitetail Ranch employs some of the best hunters in the country, so call us today at 573-943-6644 or visit us online to answer any questions you might have for your next trip.